You know I’ve never understood the rave about cupcakes … Maybe it’s me but I love to see them prettily decorated not particularly eat them … Perhaps it’s an american ‚thing‘ … All that said I do love your set of cards … simply done but so very effective! Have a beautiful week! These cupcakes are beautifully assembled. 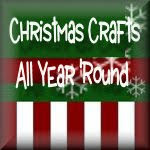 I love their sparkly wrappers and jewelled felt frosting. Well suited to that dry embossed background too. What a delightful set of cards. Thanks so much for joining us at CASology this week! What a wonderful set of birthday cards! That is the smart way to create, then you always have an extra on hand. Thanks for taking the time to join the girls and I over at Seize the Birthday, we sure do appreciate it! I always forget that embossing folders do a lot of the work and are so effective! 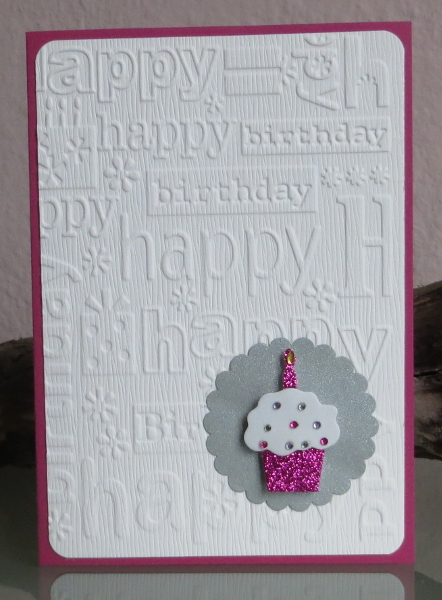 Love the cute cupcakes on your nice cards. Love the embossing folder too. Thanks for joining us at Seize the Birthday.